One of the most original and addictive series of books that I've discovered this year is the Rocky Mountain Search & Rescue series by debut romantic suspense author Katie Ruggle. She captured my attention with the introductory novella, On His Watch (currently FREE in ebook), then ramped up the action, suspense, romance, and ongoing mystery with each of the next three books: Hold Your Breath, Fan the Flames, and Gone Too Deep. Now, I am impatiently waiting for the fourth and final book, In Safe Hands to be released on October 4th. There's a major plot twist at the end of Gone Too Deep and I cannot wait to find out how it all plays out in the last book! 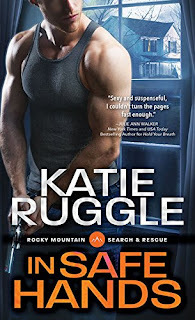 For more information about Katie Ruggle and the Search & Rescue series, check out my Q&A with the author. 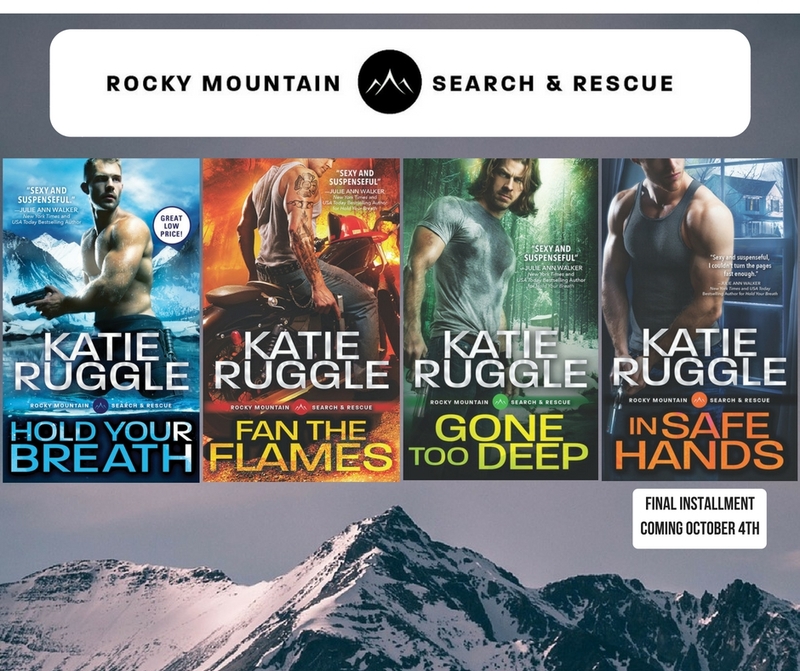 Sourcebooks Casablanca, the publisher of this series has a terrific giveaway for one of our readers but before I get to that, here's a bit more information about the individual Rocky Mountain Search & Rescue books. As the captain of Field County's ice rescue dive team, Callum Cook is driven to perfection. But when he meets new diver Louise "Lou" Sparks, all that hard-won order is obliterated in a instant. Lou is a hurricane. A walking disaster. And with her, he's never felt more alive...even if keeping her safe may just kill him. Lou's new to the Rockies, intent on escaping her controlling ex, and she's determined to make it on her own terms...no matter how tempting Callum may be. But when a routine training exercise unearths a body, Lou and Callum find themselves thrust into a deadly game of cat and mouse with a killer who will stop at nothing to silence Lou - and prove that not even her new Search and Rescue family can keep her safe forever. You can read my review of Hold Your Breath here. As a Motorcycle Club member and firefighter, Ian Walsh is used to riding the link between the good guys and the bad. He may owe the Club his life, but his heart rests with his fire station brothers...and with the girl he's loved since they were kids, Rory Sorenson. Ian would do anything for Rory. He'd die for her. Kill for her. Defend her to his last breath - and he just may have to. Every con in the Rockies knows Rory is the go-to girl for less-than-legal firearms, and for the past few years, she's managed to keep the peace between dangerous factions by remaining strictly neutral. But when she defends herself against a brutal attack, Rory finds herself catapulted into the center of a Motorcycle Club war - with only Ian standing between her and a threat greater than either of them could have imagined. George Halloway has spent his life alone, exploring the treacherous beauty of the Colorado Rockies. 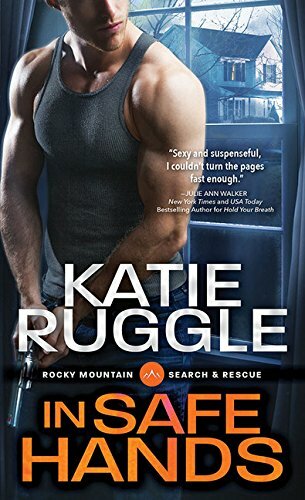 He's the best survival expert Search and Rescue has, which makes him the obvious choice to lead Ellie Price through deadly terrain to find her missing father. There's just one problem - Ellie's everything George isn't. She's a city girl, charming, gregarious, delicate, small. And when she looks up at him with those big, dark eyes, he swears he would tear the world apart to keep her safe. Like the strong and silent type? George is your man! As a member of the Field County Sheriff's Department, Chris Jennings is used to having it rough. The Colorado Rockies aren't for the weak-of-spirit, but he's devoted his life to upholding the law - and to protecting the one woman he knows he can never have. He'll do whatever it takes to keep her safe. 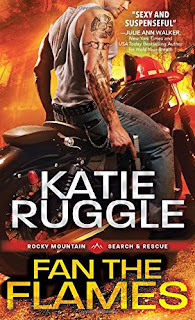 Have you read any of Katie Ruggle's Search & Rescue books yet? What new author(s) have you discovered this year? Aren't those terrific covers? I love them! Deadline to leave a comment to enter the giveaway is 11:00 pm (EST), September 14, 2016. Winner must send their mailing address to me no later than September 16, 2016 or a new winner will be drawn. I haven't read ay of these yet. But they sound awesome and I agree these covers are great. Thanks for sharing. Love the covers. I look forward to reading them. Added to my wish list. I've read ON HIS WATCH and HOLD YOUR BREATH and have fallen in love with her writing! Hold Your Breath was enthralling. I would love this great package. Covers are dramatic and special. A new author I discovered this year is Simone St. James. Thanks for this great feature. The books look wonderful, the covers striking and this a a lovely feature and giveaway. I haven't read these novels yet. The authors whose books I read and just discovered was Maggie Leffler, Miranda Beverly-Whittmore. Sarah Jane Stratford, and Alex Rosenberg. have not read these. Diann Mills is a new author for me. I read the novella. Very good. I did read the first two in the series and loved them. Stuff got in the way so I haven't read the third, but this did give me the bug. Man, I would LOVE to have a whole set of these books! Thanks for the chance to win. I discovered Maisey Yates this year. I glommed everything I could get my hands on. I've enjoyed all three titles and am looking forward to the final book. I haven't read them yet, but I do love Romantic Suspense & Adventure stories - these look great! I haven't read any of the series yet. I have On His Watch and Hold Your Breath on my Kindle. Hopefully I can read them soon. I love the covers! New-to-me authors that I discovered this year: Sarah Morgan (love her books! ), Stephanie St. Klaire, Claire McEwen, and Jamie Beck. Thanks for the giveaway. I love plot twists and can't wait to start this series! This is my kind of series. We lived in Colorado Springs for 3 years, which wasn't long enough, and loved it. The area holds a special place in my heart. I have enjoyed Pamela Clare's books set in the Rockies. This series seems to have the special feel of the area and some of people who live there. This is a new series to me that I just heard about several weeks ago. Of the books listed, GONE TOO DEEP sounds like the one I would enjoy the most. For a series, the covers are quite different, but fit well the described stories they represent. I have read the first book and I en joyed it thoroughly! The rest are in my wishlist waiting patiently for me. Other authors I've discovered this year are Lynne Barron, Laura Layne, and Asa Maria Bradley, to name a few. I haven't read this author yet but they sound like great reads. And who wouldn't love those covers!! I'm always looking for new authors - a couple that I found this year are Anthea Lawson and Charlee Allden. I have not had a chance to read any of these books but they all sound wonderful! And the covers are awesome!! I read a Jana Aston book this year which was very good!